As the oldest and largest trade association representing the Mobile Amusement Industry, the OABA believes that education is one of the keys to preserving and constantly improving our industry today and for generations to come. Through our scholarship programs, we provide tuition assistance for college students. We also offer scholarships for OABA members to attend annual industry safety training seminars. In 1996, the OABA created a scholarship program as a privately held, non-profit corporation Mobile Amusements, Inc. (MAI). Since that time, thanks to generous gifts from Allied Specialty Insurance, Gold Medal Products and donations from the OABA Board and members, more than 200 scholarships have been awarded. The OABA-Duke Smith Memorial Education Fund Scholarship is interested in the furthering of educational goals for the young people within our industry. The youth of today will be the leaders of tomorrow and will require the tools necessary to be competitive in an increasingly complex work environment. The OABA-Duke Smith Memorial Education Fund Scholarship continues to provide opportunities to eligible young people for higher education. Since 2005, a special $3000 David Smith Memorial Scholarship has been presented to an outstanding high school senior at the OABA Annual Meeting. Additionally, the OABA conducts an annual Essay Contest for high school seniors who are members. Program details and a Scholarship Application are available in the Members Only section. 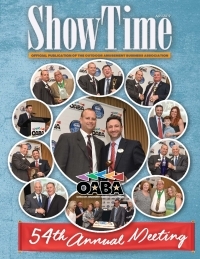 The OABA promotes continuing education by offering ten Scholarships each year. OABA members may apply for tuition assistance to AIMS and NAARSO training and certification programs. An application form is available in our Members Only section.